Written by Stuart Macdonald, a World Habitat trustee and Managing Director of PR agency See Media. See the original post here. REELIH – Residential Energy Efficiency for Low Income Households is a project of Habitat for Humanity International and USAID. We are in a quiet, windswept car park on a hill above Yerevan. The Soviet-era blocks of flats that surround us have impressive views down to the capital of Armenia below and west to Mount Ararat and Turkey. An old man is painstakingly sweeping autumn leaves into a neat pile, when suddenly the peace is broken by a group of colourful women who burst around the corner of one of the blocks of flats. Immediately our small group of World Habitat Awards judges is enveloped by enthusiastic chatter about the difference the REELIH energy-efficiency project has made to the lives of residents of these high-rise blocks. On the surface, REELIH – led by non-profit housing organisation Habitat for Humanity International with the support of USAID – means that some relatively simple refurbishment jobs are undertaken in old Soviet-era high-rise blocks. It ensures funds are in place through existing ‘homeowner associations’ for energy-efficiency works to communal areas to install new double-glazed windows and secure, air-tight front doors. REELIH has also started a programme of external insulation work to buildings that – despite the exposed nature of many of the homes and sub-zero winter temperatures – were built with little or no insulation in the 1960s to 1980s. This work is crucially important in helping tackle the fuel poverty that affects many Yerevan households. Around one-in-three are classed by the government as being in poverty. Yet the improvements are simply the final act in what has been a painstaking process to put in place the necessary funding. So what is it about the REELIH project that caught the attention of the World Habitat Awards judges and saw it become a finalist in the 2017 Awards? 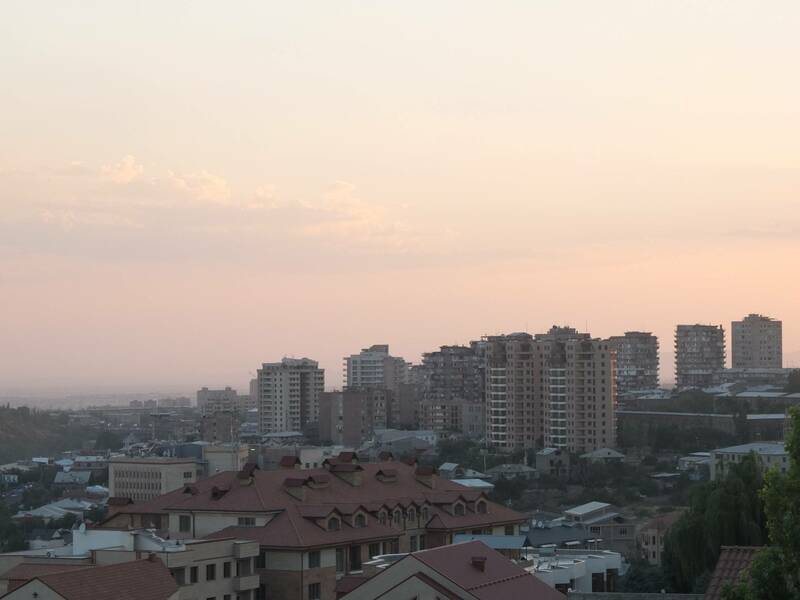 influence – evidence and experience gathered through REELIH is being used by the Armenian government to develop better national housing policies. REELIH helps groups of high-rise residents to use their existing ‘homeowner associations’ to access bank loans to contribute to the cost of energy-efficiency improvement works. The difference is then made up by a local government grant. The concept is relatively simple, but it had never been done before in Armenia due to lender concerns about the creditworthiness of homeowner associations. Also, while local and national governments could see that citizens face an issue with poorly insulated homes and rising energy prices, the capital works bill to adequately address this is steep. The REELIH mixture of loan and grant funding addresses these issues. How did it overcome the challenges? Habitat for Humanity Armenia was so keen to demonstrate the potential of REELIH that it first ran a pilot where it lent money to a homeowner association in order to convince lenders to come on board. This was a gamble, but it worked, with the homeowner association repaying the loan from its service fees. As a result, lender Inecobank became a REELIH partner alongside the Yerevan Municipal Authority – the latter investing up to 40% of the overall cost per high-rise block. By the end of 2017, 30 Yerevan blocks had been refurbished at an average cost of just $5,000. The Municipality plans to work with REELIH, Inecobank and homeowner associations to complete works to a further 100 buildings. The outcome of all parties working together to strike a deal on REELIH is that fuel poverty is reduced among some of Yerevan’s most vulnerable people. However, it has proven difficult to accurately measure the fuel bill savings due to people now heating their homes adequately, whereas before they were simply living with cold rooms. As well as the Armenian government taking notice of the success of the REELIH model and looking to build on its success at a national level, other former Eastern Bloc countries are also learning more. Bosnia and Herzegovina and Macedonia are also implementing REELIH-based approaches. While in Yerevan, our group of World Habitat Awards judges met residents of several high-rise blocks and at each one the message was the same: ‘REELIH has significantly improved our homes and lives’. The first residents we met were right: REELIH is definitely worth making a noise about.